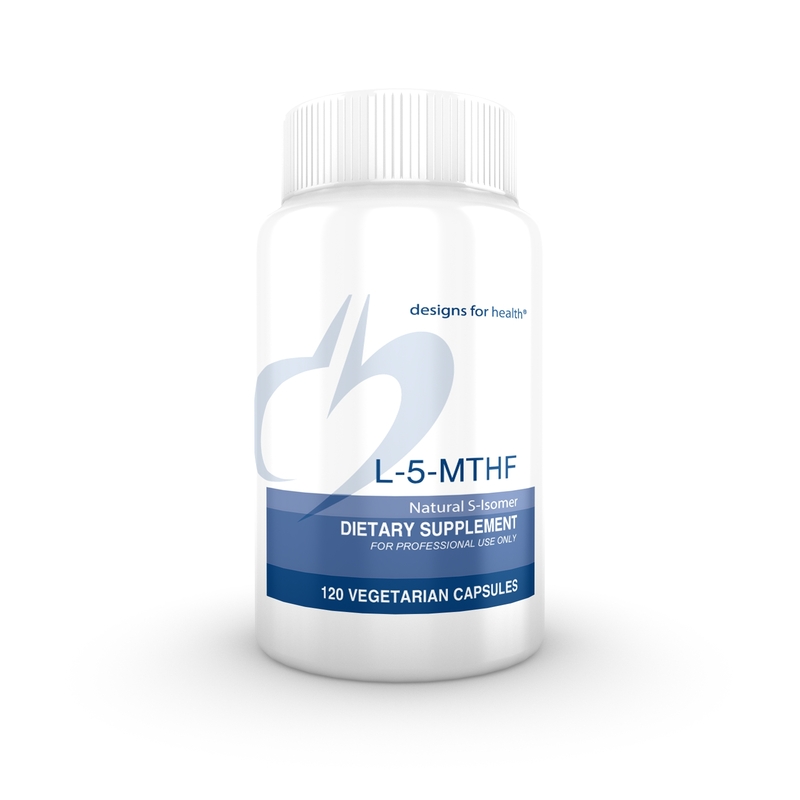 L-5-MTHF provides the all-natural form of folate. Folate is essential for cell division and growth, and also works to balance the homocysteine pathway. This formula provides 1000 mcg per capsule of folate in the bioidentical, bioactive form, 5-methyltetrahydrofolate. L-5-MTHF (the “L” signifying that it is the all-natural [6S] isomer) is the active circulating form of folate found in the body and one of the several forms found in food. In nature it is found only as this [6S] isomer, which is why DFH uses L-5-MTHF, the natural isomer, rather than the mixed (or racemic) form. Our L-5-MTHF uses the patented folate derivative Quatrefolic®. This innovative form of folate has demonstrated high bioavailability and solubility as well as long lasting stability. Quatrefolic® L-5-MTHF helps to increase blood folate levels much better than folic acid.